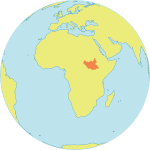 TORIT, South Sudan – Insecurity, poverty and poor health care continue to be a deadly mix in South Sudan. Tragedy struck the hospital in the eastern town of Torit after poor conditions and fear of attacks led health workers to strike. Days into the strike, Justine Mangwi, the only midwife on duty, was able to save a newborn baby – but not his mother. South Sudan is one of the world’s deadliest countries for mothers: A woman’s lifetime risk of maternal death is 1 in 26, according to recent UN estimates. And the ongoing conflict and extreme poverty are making matters even worse. UNFPA deployed Mr. Mangwi, a United Nations Volunteer, to the Torit Civil Hospital in Eastern Equatoria State. The hospital faces frequent shortages of medicines and medical supplies, and utilities such as water and power are often disrupted. In addition, there are major protection concerns in the area. In late September, staff walked out to protest these working conditions, as well as delayed payments. Yet patients kept coming. Together with a staff member from the World Health Organization, Mr. Mangwi attended to as many patients as he could. “The situation was overwhelming. We had to serve patients in all wards and fill in the roles for all cadres. I hardly had time to drink water, let alone eat,” he recalled. To manage the workload, the majority of patients were sent home, and only those who were seriously ill were attended to. Then on 28 September, a pregnant, single 23-year-old woman arrived at the hospital. She was bleeding and experiencing a prolonged labour. 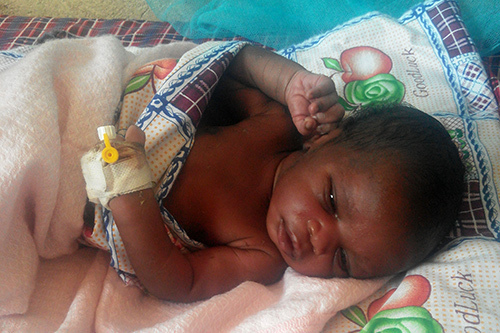 Mr. Mangwi knew that only an immediate Caesarian section would save the woman and her baby. He put out a call for help, but it took more than three hours for the doctors to arrive. As I held the newborn, my mind was filled with thoughts of an uncertain future for the baby without parents in a country torn apart by war. By then, the woman was experiencing severe hemorrhaging. An operation was performed, but she did not live to see her baby son. “As I held the newborn, my mind was filled with thoughts of an uncertain future for the baby without parents in a country torn apart by war,” Mr. Mangwi said. The hospital is now back to normal operations, but the experience has left a mark on Mr. Mangwi. It was the first maternal death he witnessed as a midwife. He says the tragedy has strengthened his passion and commitment. He is currently undergoing on-the-job training to learn how to perform Caesarean-section deliveries. “If midwives are empowered to perform comprehensive emergency obstetric and newborn care, we can immediately act on emergency cases and save more lives,” he said. To improve health services for women and girls, UNFPA is deploying midwives, training health staff, and supplying medicines and medical equipment in Torit and throughout South Sudan. Still, a great deal remains to be done.